Are you looking for an easy-to-use, low-maintenance, and long-lasting solution to your domestic or commercial climate control needs? You search is over thanks to the dedicated, reliable, and affordable team at TLA Services. Drawing directly on years of training and hands-on experience our air conditioning experts can provide unmatched advice and tailored maintenance and installation solutions for our customers across Melbourne’s metropolitan area. At TLS Services we know that no two properties are exactly the same. 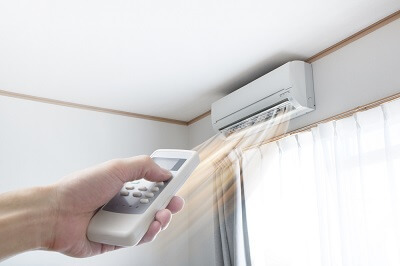 Thanks to our passion and our strong professional connections with renowned manufacturers we proudly stock a wide range of reputable air conditioning units and products, each offering different benefits to our customers. By carefully studying your floor plans, we are able to provide a free, no-obligation quote for an air conditioner that best suits your Box Hill property. Whether you are after split system units, traditional wall-mounted air conditioners, or innovative and environmentally-friendly evaporative coolers we can deliver it right to your door and install it promptly. Our installations are conducted efficiently and with minimal disruption to your daily routine, with our staff cleaning up any mess or debris after finishing the installation of your brand new air conditioner. Box Hill locals looking to enjoy comfort during Melbourne’s sweltering summers need look no further than TLA Services! For a free, no-obligation, quote regarding your air conditioner requirements Box Hill residents can call us on 0430 234 057. TLA Services also provide ducted heating for those wanting to ensure their home is comfortable all year round.